When it comes to men’s fashion and style, the 1940s offers plenty of inspiration for hairstyles, clothing and accessories. These classic motifs can add a touch of quiet elegance and masculine sophistication to any gentleman’s appearance. 1940s charm can still be seen today in the subtle updating of iconic, military-based influences juxtaposed with a refined 1930s sentiment and finished with a more contemporary “rugged” touch. Today’s popular vintage hairstyles are a nod to past cultural icons, such as Frank Sinatra, James Cagney, Cary Grant, Humphrey Bogart and Edward G. Robinson. This trend has even been picked up in recent nostalgic films and television shows such as The Great Gatsby, Downton Abbey, Boardwalk Empire and Inglorious Basterds. The Contrast Weight Line haircut is a great choice for curly or wavy hair as this cut is all about showing off hair movement through the asymmetrical cut. Parted heavily to one side, it also suits men with a lot of length or unruly crowns. The heavy weight on one side and the tight, clipped edges provide a complimentary style across all angles. This is an edgy look that is easy to mix up, and it plays well with mustaches and beards for a neo-lumberjack feel. A good example of a vintage Contrast Weight Line hair cut is shown on Eddie Redmayne in 2015’s The Danish Girl. Modern versions feature more drastic clips and asymmetrical lines. This classic haircut sports short back and sides, and a tapered, longer front. This graduated cut, known for its popularity among Ivy League undergraduates of the 40s and 50s, is essentially a longer version of a Crew Cut. While it still has the shorter sides and back of a Crew Cut, the top and front is longer than the crown, giving it a wedge-shaped profile from the side. When the front is left longer, it can be styled higher, in a pompadour, slicked straight back, or parted and partially slicked back. Cary Grant’s iconic waves were a classic Ivy League look. Similar to the conservative Flat Top haircut, the Brush Cut is longer on top and up front. Think of a Flat Top and Pompadour mashup. The sides and back can be either faded gradually or abruptly, or even clipped down to the skin. Generally, a wide-toothed comb and some type of pomade or other hair treatment is needed to keep the hair lifted, unless the hair is extremely thick. A good example of a Brush Cut style is Val Kilmer’s locks in Top Gun, though Justin Bieber has gone through several different incarnations of the style. Popular among German soldiers from WW2, the Undercut is a popular circa late 1940s haircut. This is an easy-care style that really requires little maintenance, and, depending on how it’s cut, is suitable for wavy or straight hair. The hair at the top front and crown is left quite long, while the sides and back are clipped or shaved closely to the earline or above, and there is little to no blending or fade between the two lengths, giving it the typical bowl shape seen on “James Darmody” in Boardwalk Empire. Long before Mad Men's fictional “Don Draper”, retro style icons have been influencing popular style and culture and adding a vintage twist to modern men’s haircut styles. Check out our menu of services to find out more about how our barbershop franchise helps lucky gentlemen update their ‘do. With barbershops and hair salons popping up on seemingly every street corner, there is a call for business owners to make their shop stand out. Many consumers find a stylist or barber they like and will likely remain faithful to that person for years to come. The goal of the savvy marketer, then, is to get those customers through the door for an initial visit and to keep them coming back once they see why your shop is a cut above the rest. Your stylists need to make every customer feel special. If repeat clients have a special event coming up, invite them in to receive a discount on services. Entice new customers by sharing special offers on your social media pages. You can also use platforms like Facebook as tools to show established and prospective clients the type of brand image you want your shop to portray. Share candid photos, funny stories, parties and events, and hair advice in order to improve social media engagement and breathe life into your brand. Not every client is looking for cheap and quick hair services. RAZZLEDAZZLE carves out a niche in the market by appealing to those who miss the novelty of the pampering that used to go hand in hand with a trip to the barbershop. Even if the throwback vibe isn’t your cup of tea, consider going above and beyond the standard to create an unmatched experience for your guests. Vintage logos and marketing materials helped us expand upon the old-fashioned vibe of our shop. We used familiar and comforting motifs such as spotlights, lace, and Victorian accents, as well as dark, bold colors to trigger a nostalgic response. Likewise, you’ll want to give careful thought to creating a consistent look and feel throughout your materials in order to generate buzz in the best way possible. If you’re trying to construct a more modern atmosphere, you’ll likely want to appeal to more tech-savvy individuals. In this case, you can install intuitive software solutions that will help create a stress-free visit to your salon. Programs can permit online booking with stylists as well as management of the stylists’ schedules. Stylists can also connect directly with their clients through the use of email reminders and text alerts. Getting involved in your local community is a must for any business trying to build its brand image. At RAZZLEDAZZLE, we host plenty of events that aid local charities, such as providing free hair care services to a local women’s shelter, hosting annual cut-a-thons, and more. Another possibility is sponsoring a team in a charity run and having your brand featured as a supporter of the cause. All in all, your community will be your backbone – patronizing your business, promoting your services, and benefitting from your economic contributions. Make sure they always know how much you value them. Finding the right combination of branding and marketing tactics is a trial and error process. Never be afraid to take risks in order to craft a lasting brand image in this highly competitive field. Click here to learn more about how RAZZLEDAZZLE does it best in the branding category! “No Shave November” is here! Also known as “Movember,” this month marks a 30-day period where men everywhere ditch their razors and grow out their facial hair in support of prostate cancer, depression, and other men’s issues. As you prepare to stand in rugged solidarity, bear in mind that basic grooming is essential to the process. By carefully grooming a beard and caring for the face properly, a man creates a statement about his personality and style! Before grooming your beard, wet a towel with warm water and place it on your skin. A warm towel helps to open up the pores and reduces the risk of ingrown hairs. After basic grooming and shaping, rinse the face with cold water or use a cold towel on the face. The shock caused by the cold temperature seals the pores and helps to reduce redness that might result from removing excess hair or creating definition. Do not do any adjustments, shaping, or shaving during the first few days of growth. The duration of this initial wait depends on your beard’s particular style or appearance. For a short beard, start shaping and grooming about one to two weeks after the beard grows in. Use clippers to ensure that your beard has the same length throughout, and then use a razor to create a clear line. Do not shave to the chin. Rather, leave extra hair on the neck to create a natural and well-maintained appearance. Avoid using basic soap to clean a beard. Choose a moisturizing shampoo instead. Soap dries out the skin and causes the beard to look and feel brittle. Moisturizing shampoo, particularly natural and organic options, keep the hair healthy and prevents any skin sensitivity. As your beard grows longer, it’s important to keep it clean and groomed by trimming at least once every month or two. For a short beard, trim once every one to two weeks. Proper grooming ensures that your beard will grow in healthy and clean. It also helps create the look a man wants without appearing to be unkempt or uncaring. The key to a great beard throughout November is careful cleaning and routine maintenance. With the proper tools and a steady regimen, you’ll be well on your way to growing a swoon-inducing beard that is sure to catch a woman’s eye! Need a little help with sprucing up your scruff? There’s nothing like a woman’s touch! Find out more about our luxurious shaving and grooming services here. "Won't get a haircut anywhere else in Miami. I've tried two locations and my experience at both have been equally positive.  Staff is friendly, attentive, and provide an old fashioned barbershop experience that is just awesome. Expect a relaxing hand massage during your haircut and hot/cold towels with your hot lather straight edge shave. If you're willing to spend a little more for quality, give them a try!" "Walked in and was greeted by the entire staff. I normally go for a high and tight cut, but my barber, Joaquin suggested a different style based on my hair type. I trusted his professional opinion and I'm extremely happy that I did. It turned out amazing! My fiancé also decided that this is how I MUST have my haircut for our wedding. Thanks for the suggestion Joaquin! I was offered coffee, received a hand massage and was treated with A+ service. I will definitely be returning for my next cut and beard trim! "Just an awesome experience all around. Friendly staff, a complimentary (awesome) hand massage from a beautiful girl and a great quality haircut. Left feeling like I had been to a spa after the warm towel head massage. I'll be back for more!" "When I walked in, I thought the price was a little expensive, but I decided to get a haircut anyways. I couldn't be happier. The barber has so much attention to detail, gives great haircuts, converses with you, and the hostess is as equally amazing. She gives you a scalp massage and complimentary whiskey shot. I would definitely recommend to try this place." "This place is great! I have gone twice and the customer service has been top-notch both times. The manager greets all the customers and spends time listening to what we like about the place. The atmosphere is very unique compared to anything else in Miami."